Under selling pressure from the beginning of the session, the VN-Index was down by over 18.39 points at the end of December 17 from the previous day, ending up at 933.65 points. The transaction volume reached 255.17 million shares with a total value of more than VND3.54 trillion (US$152.22 million). Upturn was recorded in the prices of 66 codes, while the prices of 44 others were unchanged, and 231 codes down. The HNX-Index on the Hanoi Stock Exchange (HNX) decreased 1.64 points to 105.01 points, with more than 40 million shares traded for over 540.1 billion VND. At the same time, the price of VIC suffered a slight drop of 0.2 percent, while that of VHM lost 2.9 percent. In the VN30 basket, as many as 26 codes went down, while only two others – DHG and PNJ – had increased. The sharpest fall was seen in the prices of MSN with 4.1 percent, followed by HSG with 3.4 percent, and HPG with 3.3 percent. The prices of the majority of banking shares dropped strongly, along with petroleum shares. 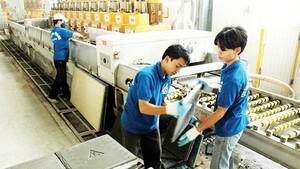 Notably, PLX price fell 5 percent, while the prices of TCB and VIB were down 4.4 percent and 4.1 percent respectively. 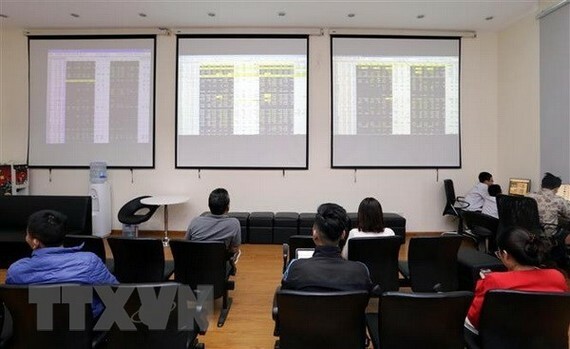 During the session, foreign investors sold 402 shares for VND27.92 billion on the Ho Chi Minh Stock Exchange (HoSE) and 282,356 shares on the HNX.